The San Francisco International Film Festival (SFIFF) is busy gearing up for its 58th edition, with the full line-up set to be announced at a March 31 press conference. Based on press releases emanating from the SF Film Society in recent weeks, I'd say things are already looking pretty sweet. In addition to being the longest-running film festival in the Western Hemisphere, SFIFF is this Bay Area cinephile's favorite fortnight of the year. 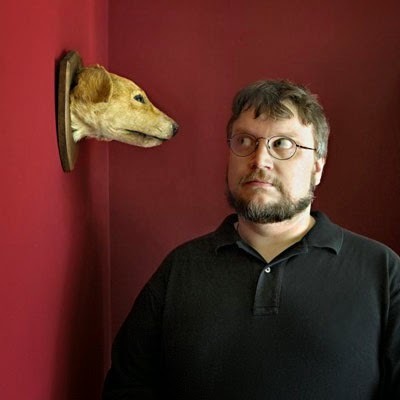 As has become a tradition here at film-415, on the eve of the SFIFF58 press conference we offer an overview of what's been announced thus far, some prognosticating over what else might be in store and finally, a list of 20 films we're most hoping to find on this year's roster. 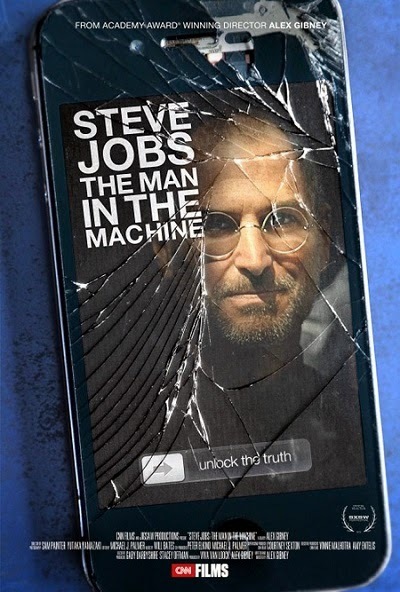 ● SFIFF58 gets going on April 23 at the Castro Theatre with Alex Gibney's Steve Jobs: The Man in the Machine, which arrives fresh from its SXSW world premiere. The insanely prolific Gibney, whose recent warts n' all docs on James Brown and Scientology aren't even six months old, was inspired to make a film about Apple's co-founder after witnessing the mass public lamentation that followed Job's death. It's a portrait Variety's Justin Chang describes as "deeply unflattering" and "more than willing to speak ill of the dead." Other reviews have dubbed it a "tech-age Citizen Kane." Gibney will of course be in attendance, along with "additional special guests." Those guests will need to be extra special, however, to stem a post-screening exodus to MUNI's F-streetcar line – the most expedient way to reach SFIFF58's opening night party at Madame Tussaud's wax museum at Fisherman's Wharf. There I look forward to an evening of unbridled, faux-celebrity selfie-taking at one of the most fabulously inspired ideas for a party venue ever. ● The fest closes 15 days later with a Castro screening of Michael Almereyda's Experimenter, described as a highly stylized biopic about a once controversial social psychologist. 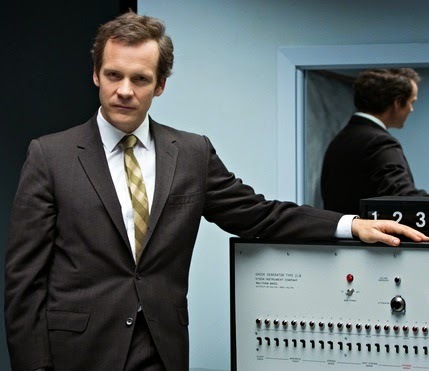 Peter Sarsgaard stars as Stanley Milgram, he of the infamous 1963 Milgram experiment on obedience to authority figures, as well as later work that was central to formulating the Six Degrees of Separation theory. This will be Almereyda's fifth film to play SFIFF. The most memorable for me were his 1994 post-modern vampire flick Nadja and the NYC update of Hamlet with Ethan Hawke (the latter of which closed the festival in 2000). SFIFF58's Closing night special guests are still TBA and the party will be held at Mezzanine. 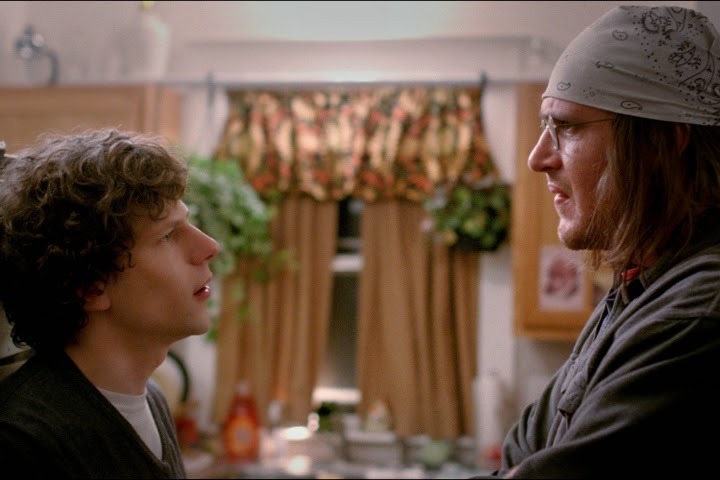 ● This year's Centerpiece film is James Ponsoldt's The End of the Tour, based on Rolling Stone reporter David Lipsky's memoir of a days-long encounter with writer David Foster Wallace. Ponsoldt, whose last film was The Spectacular Now, will be on hand for the screening along with star Jason Segel. Full disclosure – I adore Mr. Segel and am beyond enthusiastic over this impending SFIFF appearance. (I mean, I even went to see a friggin' Muppets movie because this guy was in it.) Segel has received near-unanimous raves for his performance as the reticent, yet occasionally garrulous author Wallace, in this his first dramatic feature leading role. The film, which co-stars Jesse Eisenberg as Lipsky and boasts a screenplay by playwright Donald Margulies, was also one of the best-reviewed movies at Sundance. This all happens on May 2 at the Sundance Kabuki Cinemas. ● SFIFF58 rolls up its sleeve for an injection of old-school Hollywood glamour when Richard Gere accepts the fest's Peter J. Owens Award for excellence in acting on April 26 at the Castro Theatre. 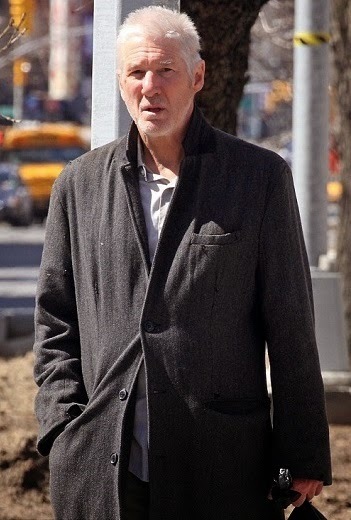 The program will include a career-best clips reel, on-stage interview and a screening of Oren Moverman's Time Out of Mind, in which Gere plays a NYC homeless man. In his rave review for Variety, critic Justin Chang praises Gere's "beautifully judged performance, plain and true, and one for which he appears to have purged every trace of actorly vanity or self-consciousness." The film also features Jena Malone, Steve Buscemi, Kyra Sedgwick and Ben Vereen in supporting roles. Fun fact – the last time a Richard Gere movie played SFIFF was in 1986, when Days of Heaven screened at a tribute for cinematographer Nestor Almendros. ● More than two decades after he first charmed SFIFF audiences with his 1994 debut feature Cronos, Mexican director Guillermo del Toro returns to claim the fest's Irving M. Levin Directing Award (f.k.a. the Founder's Directing Award and before that, the Akira Kurosawa Award) at the Castro Theatre on April 25. From his astonishing filmography the festival has chosen to screen 2001's Spanish Civil War chiller The Devil's Backbone, in a program that will also feature a clips reel, on-stage interview and a promised sneak peak at del Toro's future projects. May the choice of interviewer be as inspired as last year's pairing of Richard Linklater with Parker Posey. ● Nine films will compete for this year's New Directors Prize and as usual, it's an intriguing band of contenders. The Tribe boasts the highest profile, having screened in Cannes' Critics Week sidebar where it ultimately took home the Grand Prize. Directed by Miroslav Slaboshpytskiy, this tale of social Darwinism is set in a Ukrainian school for the deaf and told completely in unsubtitled sign language. I've also read excellent things about Laura Bispuri's Sworn Virgin, which recently premiered at Berlin. Italian actress Alba Rohrwacher stars here as an Albanian woman who has lived her life as a man and is now imagining other options. Remaining New Directors Prize hopefuls include filmmakers from Viet Nam, India, Ivory Coast, Chile, Albania, Afghanistan and France. ● SFIFF is big on documentaries. Nearly one-third of the line-up has been given over to non-fiction filmmaking in recent years, which isn't surprising given the Bay Area's stature as a doc-producing hotbed. Ten films will battle it out in 2015's Golden Gate Awards Documentary Feature Competition, with J.P. Sniadecki's The Iron Ministry at the top of my must-see list. This meditative look at China's railway system comes from the folks at Harvard's Sensory Ethnography Lab, whose revolutionary documentaries such as Manakamana, Leviathan and Sweetgrass have enriched previous SFIFF editions. I'm also excited about two films which won Sundance's Special Jury Prize and Grand Jury Prize. 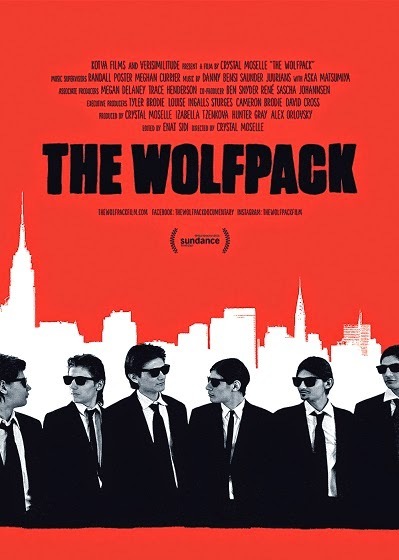 Respectively, Bill and Turner Ross' Western looks at two neighboring cities on opposite sides of the Rio Grande, while Crystal Moselle's bizarre-sounding The Wolfpack observes a family of six teenage shut-ins whose entire worldview is based on the DVDs they watch. 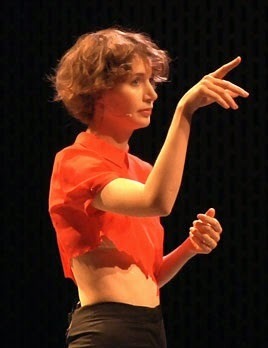 ● Performance artist-author-movie director Miranda July returns to SFIFF with the west coast premiere of her performance piece New Society, on April 28 and 29 at the Brava Theater Center. Co-presented by SFMOMA, New Society is said to be heavy on audience participation, with some performances witnessing more audience members up on-stage than in their seats. The Boston Globe's Don Aucoin describes it as an "innovative theatrical experiment illustrating the myriad ways societies form, cohere, change, fracture, and maybe persevere over time." Ah, but does it have anything to do with film? Most everyone I know is either a MJ lover or hater. The former have seen to it that both SFIFF performances of New Society are already at RUSH. Each year I can't help but speculate on which films will fill out the remaining SFIFF line-up. Landmark Theatre's upcoming release list is a good place to start, except when it's not. This year only four flicks on the arthouse chain's calendar smell like potential SFIFF candidates: the narrative features Aloft (Claudia Lhosa) and Saint Laurent (Bertrand Bonello), as well as docs Ivy (Albert Maysles) and Dark Star: HR Gigers Welt (Belinda Sallin). Last year the festival screened Philippine auteur Lav Diaz' sublime Norte, the End of History roughly two months before it reappeared at the Yerba Buena Center for the Arts. This year Diaz' From What is Before won the top prize at Locarno and is scheduled for a June YBCA screening. Will SFIFF jump in and lay claim to another Diaz Bay Area premiere? Every January I travel to the Palm Springs International Film Festival and see films that might appear at SFIFF. Among the prime PSIFF selections I caught this year, all of which I'd be pleased to revisit, are the aforementioned Saint Laurent, the French New Wave-inspired Mexican film Güeros, Belgian director Fabrice du Welz' creepy remake of The Honeymoon Killers (Alléluia), Mexican satirist Luis Estrada's scathing The Perfect Dictatorship, feminist seafaring drama Fidelio, Alice's Journey and Bruno Dumont's comic, made-for-TV police procedural Li'l Quinquin. And while the latter is currently available to stream at Fandor, it is very much worth watching on a big screen if one has that opportunity. Past SFIFF wish lists were always culled from films that played the previous year's festival circuit, as well as those debuting in the early months of the current year. This year, however, the list is exclusively composed of remaining unseen titles from 2014. If asked to name five 2015 releases I'd most love to see at SFIFF58, I'd have to say Peter Greenaway's Eisenstein in Guanajuato, Pablo Larraín's The Club, Guy Maddin's The Forbidden Room, Sebastian Silva's Nasty Baby and Jayro Bustamante's Ixcanul Volcano. Finally, both The Tribe and The Iron Ministry appeared on my initial list and were replaced once they were announced as screening in competition. So in essence, two wishes were granted straight out of the gate. Five years after he won the festival's New Directors Prize for The Journals of Musan, I'm hoping director-writer-actor Park returns with this follow-up, a grim three-hour formalist portrait of a struggling soybean paste factory worker. The SF Film Society has Bay Area-premiered all three of this director's works (All is Forgiven, Father of My Children, Goodbye First Love), so I wouldn't be surprised if they've also carved out a slot for this drama spread across two decades of France's electronic house music scene. This was the second prominent Russian film of 2014 to deal with one man's fight against systemic political corruption (Oscar® nominee Leviathan being the other). Artem Bystrov won Locarno's Best Actor prize for his portrayal of a naïve plumber raising the red flag on an about-to-collapse apartment block. The director's delightfully weird debut feature Hukkle played the festival in 2003, but his subsequent three films, including 2006's internationally popular Taxidermia, have gone Bay Area M.I.A.. Pálfi's new one took best director and jury prizes at Karlovy Vary, and follows the bizarre events witnessed by a woman who's jumped off her apartment building rooftop. Twin boys make life hell for their facially disfigured mother in this "fairy tale for Dogtooth enthusiasts," co-written and directed by Ulrich Seidl's wife (Veronika Franz, who also co-scripted several Seidl films including Import/Export and all three Paradise films). Costa expands his acclaimed Fontainhas slum trilogy into a quartet, following its Cape Verdean protagonist Ventura into his new life. SFIFF brought us the first (Ossos) and third (Colossal Youth) Fontainhas installments and will hopefully follow through with Costa's latest, which earned him the Best Director prize at Locarno. This director won SFIFF's FIPRESCI prize in 2005 for the almost Oscar®-nominated Private. His first English language film centers upon a mother's postpartum psychosis and won awards for Best Actor (Adam Driver) and Best Actress (Alba Rohrwacher) at Venice. Austria's "guru of the grotesque" returns to documentary filmmaking with this look at his fellow countrymen's penchant for domestic subterranean weirdness. South America's most noted cinematic minimalist comes back with his first feature in six years, a trippy meta-Western set in a Patagonian outpost, featuring a lead performance by an actual movie star (Viggo Mortensen, who also produced and co-composed the score). Tsai's beguiling 2012 short Walker, in which actor Lee Kang-sheng posed as a monk and s-l-o-w-l-y traversed a series of Hong Kong cityscapes, has been expanded into a Marseilles-set feature, and boasts an assist from actor Denis Lavant. SFIFF audiences were blown away two years ago by eventual Oscar®-nominee The Act of Killing, in which Indonesian paramilitary death squad leaders reenacted their crimes on film. Oppenheimer's equally acclaimed sequel follows one family as they confront those who murdered a beloved family member back in 1966. What excites me most about this Brian Wilson biopic, starring Paul Dano and John Cusack as the younger/older Beach Boy genius, is that it shares the same screenwriter as Todd Haynes' radically offbeat Bob Dylan biopic, I'm Not There. This "calculated exercise in genre movie subversion" cleaned up at last year's San Sebastian Film Festival, taking home prizes for Best Film (the Golden Shell) and Best Director. After garnering international acclaim for narrative features My Joy (SFIFF 2011) and In the Fog (SFIFF 2013), Loznitsa returns to his documentary roots with this strictly observational accounting of the 2013/2014 Ukrainian uprising. Not even the stinky reviews from the Venice Film Festival have dampened my desire to catch Ferrara's avant-garde imagining of director Pier Paolo Pasolini's (Willem Dafoe) last day on earth. Sweden's king of absurdist, fixed-camera tableaux came to Venice with his first film since 2006's You, the Living and went home with the fest's top prize, the Golden Lion. The Bay Area hasn't seen a new film from key Iranian New Wave director Makhmalbaf since 2001's Kandahar. His latest is a parable about the Arab Spring which won the top prize at last year's Chicago International Film Festival. This acclaimed "poetic lamentation" on the horrors of Syria's civil war combines amateur on-line footage – assembled and narrated by exiled Syrian auteur Mohammed – with that of a female, Kurdish activist schoolteacher reporting from the front lines in Homs. Winner of the Best First Film prize at Locarno, this documentary is being touted as the film to see about North Korea. Nearly one year after it won the Palme d'or at Cannes, Bay Area movie lovers are still waiting to see this new work from one of the world's leading filmmakers. If there's one movie I can't imagine not being included in 2015's SFIFF line-up, Winter Sleep is it.